There are 10 types of people in this world -- those who read binary and those who don't. It's Friday … word day! In order to clear some of the ever-growing backlog of new-to-me words, I might try doing two words on every Third Friday. Let's see how that goes. 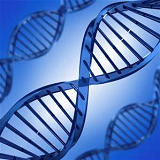 Over the past several decades, geneticists have announced the discovery of "genes for" virtually every trait or disorder. We’ve had the God gene, gay gene, alcoholism gene, warrior gene, liberal gene, intelligence gene, schizophrenia gene, and on and on. I would be surprised if such a self-consciously clever word actually got traction, but I did like it nonetheless. New-to-me word #2 this week is web brutalism. This refers to a design aesthetic for web pages that's deliberately anti-design conscious. To quote Pascal Deville, who apparently coined this phrase: "In its ruggedness and lack of concern to look comfortable or easy, Brutalism can be seen as a reaction by a younger generation to the lightness, optimism, and frivolity of today's webdesign." I got this term from an article in the Washington Post, which observes that Brutalism is a term from architecture, where it derives from the French word for "raw"—i.e., unrefined. And that's what such websites look like. 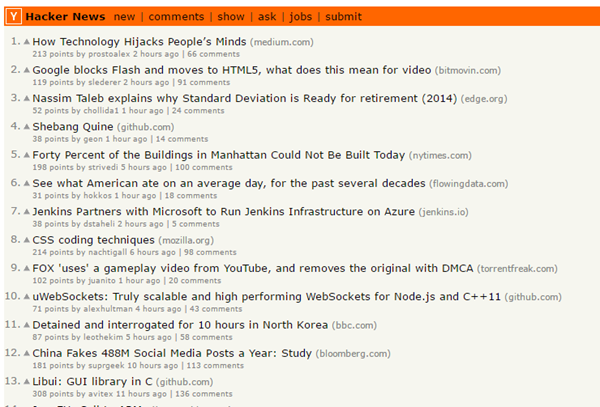 Here's a screencap of Hacker News, one of the sites listed in the WaPo article as examples of this approach. Aside from the use of Verdana and the use of a left margin, no concessions are made here to aesthetics or readability. Other examples cited in the article are Drudge Report and Bloomberg. I'll observe that it can be difficult (for me, at least) to determine whether a site that's sorta ugly reflects a deliberate attempt to subvert aesthetic fashion or is just, you know … ugly. Mill is an old word in English; it's attested from the 800s. We seem to have gotten it from Latin mola, which has the same meaning. Interestingly, mill and mola share a root with the word meal, meaning the edible part of a grain—that is, the part of the grain that's milled. Distant linguistic relatives include malt (as in malted barley) and melt. 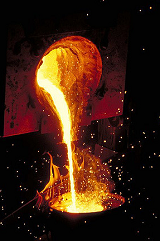 So hey, the image of molten steel isn't entirely wrong for a steel mill.